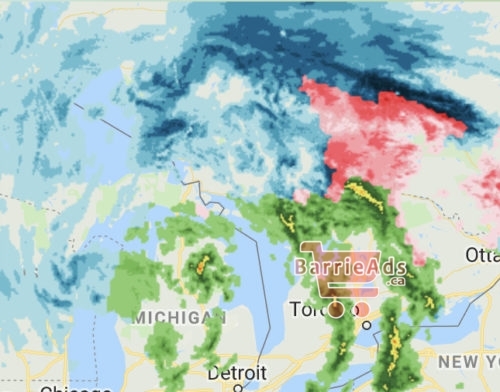 Environment Canada has issued both a Wind warning and a Snow Squall watch for Barrie. Very strong southwesterly winds with gusts of 100 to 110 km/h will begin around noon and be accompanied by a sharp arctic cold front. Wind gusts of 120 km/h are possible in areas along the shores of Lake Ontario. The damaging winds will persist into this evening, but will gradually start to weaken overnight.